At Marsh Kitchen & Bath, we partner with several suppliers to bring you the best variety of kitchen countertops available. Though our selection is endless, certain materials will work better in particular rooms of the home. Some of our recommendations for kitchen counter solutions are listed below. 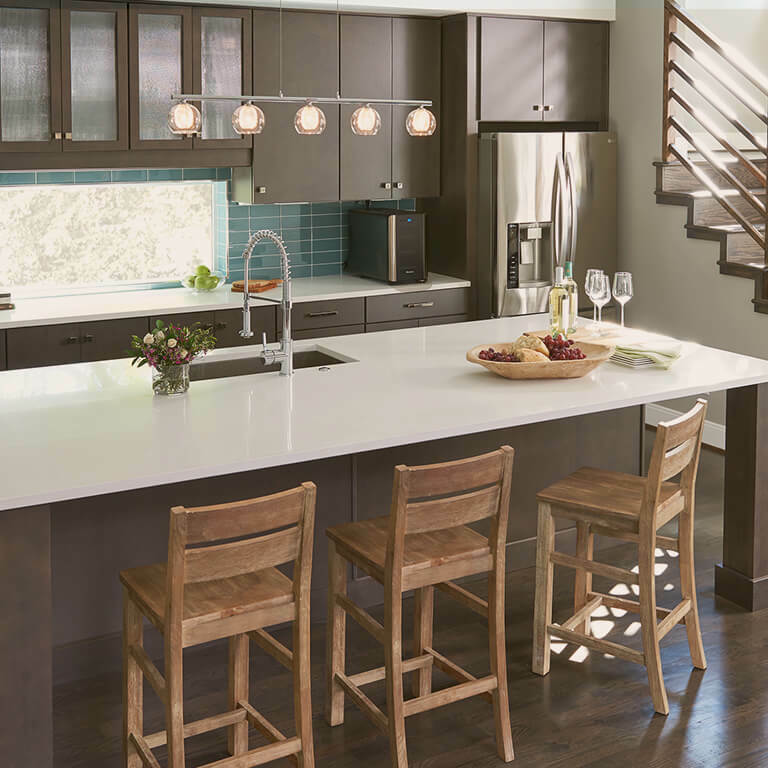 Stop by one of our five North Carolina design centers to discuss the best option for your kitchen remodel with one of our design professionals. 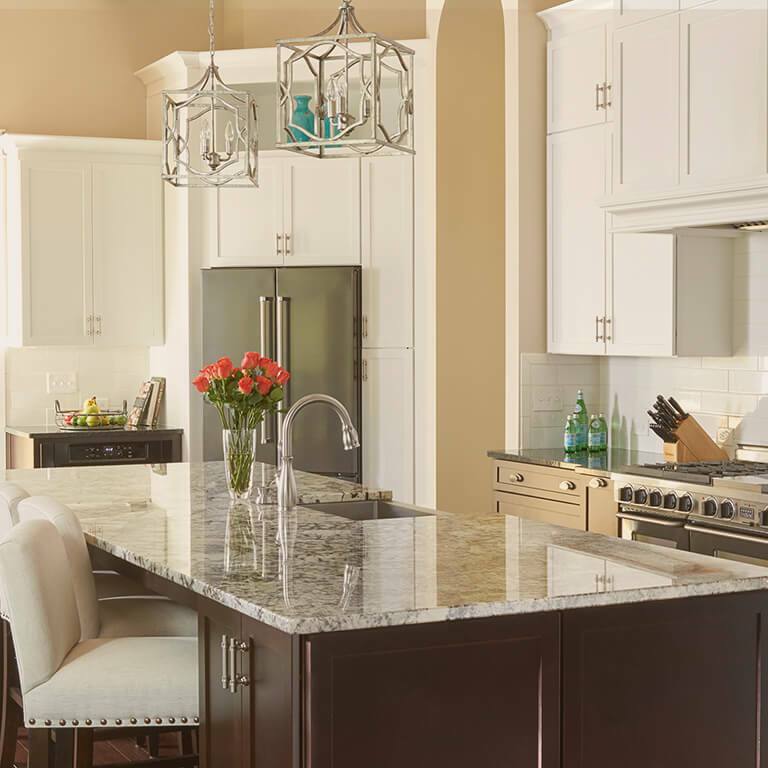 Because of its undeniable beauty, granite remains the most popular option for countertops among homeowners. Granite is a hard, natural stone that comes in a wide array of colors and patterns. It is long-lasting and resistant to heat and scratches. Few materials add the touch of luxury that characterizes marble. Its timeless aesthetic means your countertops will be a striking element for years to come. Marble is especially attractive to avid bakers, as its temperature makes for the ideal pastry-making environment. Quartz is among the best materials to install in any room. Its resistance to stains, bacteria, and moisture make it easy to work with. Adding to its low-maintenance is the fact that Quartz doesn't require regular sealing the way Granite and other materials do. Wood countertops are often dismissed as being high-maintenance, but their visual warmth can make them the perfect option for a kitchen island. One of the benefits of choosing wood countertops is that you can select from a variety of species and finishes, allowing for greater customization. Consider opting for part wood and part stone countertops for even more visual interest. Countertops are an important investment and can have significant influence over your new kitchen design. 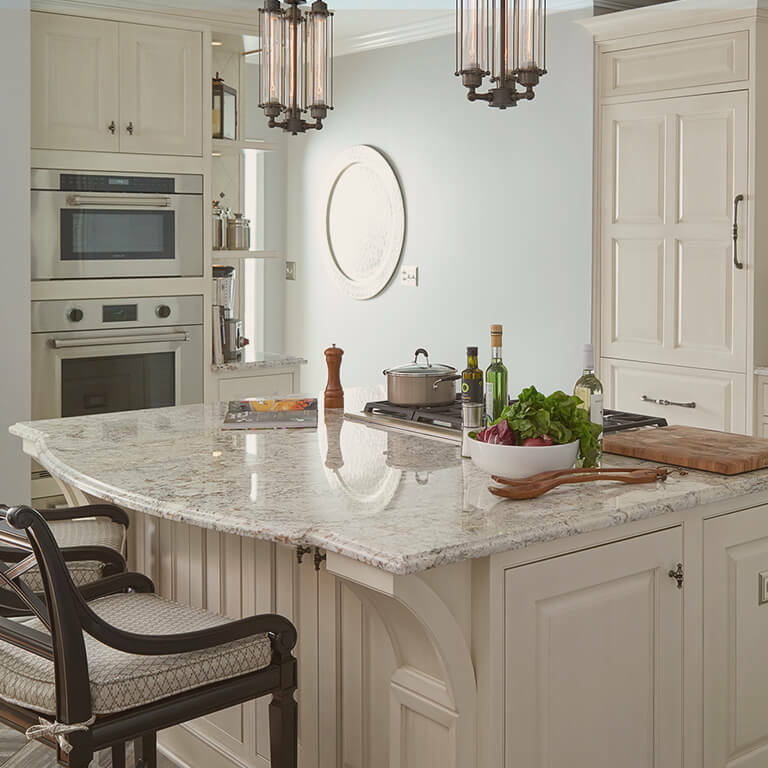 We provide a number of elegant countertops ranging from exotic natural stone to beautiful, manufactured materials. I bought an older home and decided to completely gut the kitchen. The appliances and cabinets dated back to the 1960's and needed updating. I had heard great things about Marsh Kitchens so I contacted them. The designer went to my home, took measurements, designed the kitchen entirely. I absolutely love the way my kitchen looks! Not only do they provide high quality cabinets that look beautiful, the extra details suggested give my kitchen an added touch, making them truly custom.